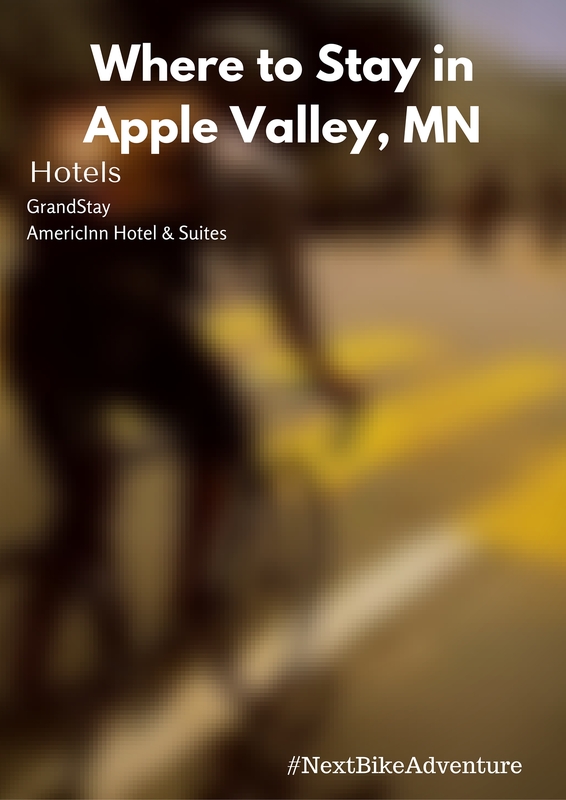 Home to the Minnesota Zoo, Lebanon Hills Mountain Bike Park, and miles of paved trails, visitors and residents alike will enjoy exploring Apple Valley. You will find plenty of safe bicycling opportunities around this south metro community in the Twin Cities. Mayor Mary of Apple Valley, MN, riding the city trails with some of her young residents. 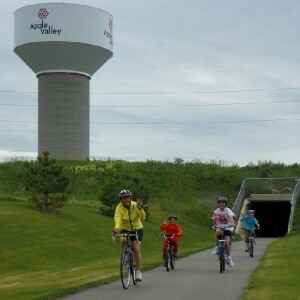 Along with the many bike friendly streets in the Apple Valley/Rosemount area, (displayed in the maps links below) you and your family will also find many safe recreational trails available to use to get around. The paved trails that run along the boulevards and through several picturesque neighborhoods offer several options for commuting by bike to area attractions, businesses, and parks. For those interested in mountain biking, then Lebanon Hills and Alimagnet Park are the places for you to check out. HaveFunBiking area maps for Apple Valley and Rosemount are below. From bars and grills to unique coffee shops, this area offers numerous great places to grab a bite to eat and relax. When exploring Apple Valley, you’ll want a place to rest your head after your day. Along with most hotels, many coffee shops and restaurants have Wi-Fi availability. The public library is another good option. The library in Apple Valley is located at 4955 Galaxie Ave., Apple Valley, MN 55124. To contact them, you can call them at 952-891-7045. Also, there is a library in Rosemount which is located a 14395 S. Robert Trail 651-480-1200. See the Apple Valley Tourism Bureau for more detailed information.